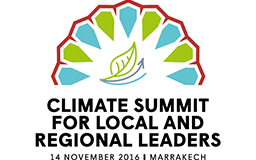 At COP22 LTIIA Climate initiative was presented during the Climate Summit for Local and Regional Leaders focused on “Financing the Sustainable Transition of Territories”. The primary objective of the LTIIA Climate initiative is to facilitate the financing of the investment component of climate change policies while bringing specific experiences and the expertise of LTIIA members to selected countries and local authorities . At the heart of the discussion was the engagement of resources from development banks to support local projects, which remain a key element in the range of available resources for local and regional governments. The speakers explored opportunities to create frameworks of mutual comprehension between private and public investment for a concerted action at subnational level. They addressed the issue of how to systemize approaches and financial models of Climate Finance in new environments. Below please find the full LTIIA presentation, including the presentation of a pilot project Senergy.